The future of mattresses? The Eight Hybrid Mattress is a hybrid mattress with a nice medium feel, great pressure relief and support. 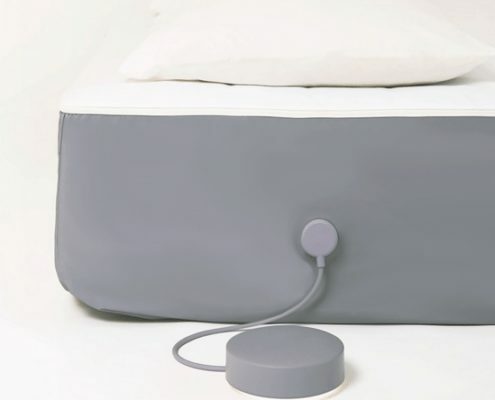 Add the Smart Cover to track your sleep and warm the mattress! It provides good pressure relief and provides more of a floating on top of the mattress feel rather than a sinking stuck feeling. The Eight Smart Hybrid Mattress is a hybrid mattress with a nice medium feel, great pressure relief and support. 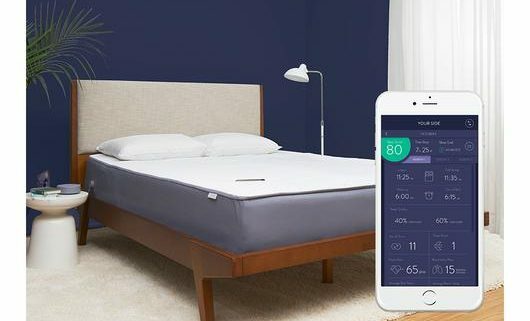 What is unique is their smart cover that slips over the mattress and connects to your phone. 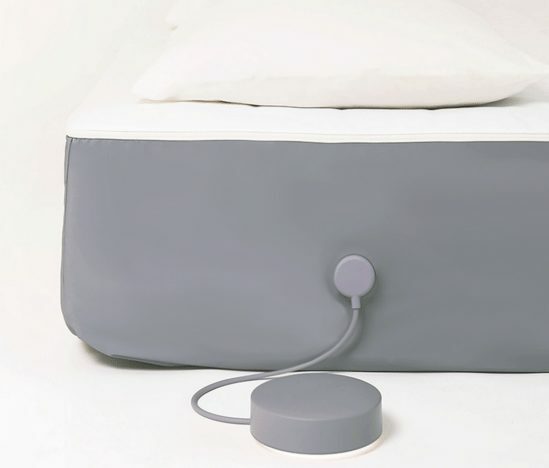 The cover tracks your sleep, warms each side of the bed and has several other unique features! 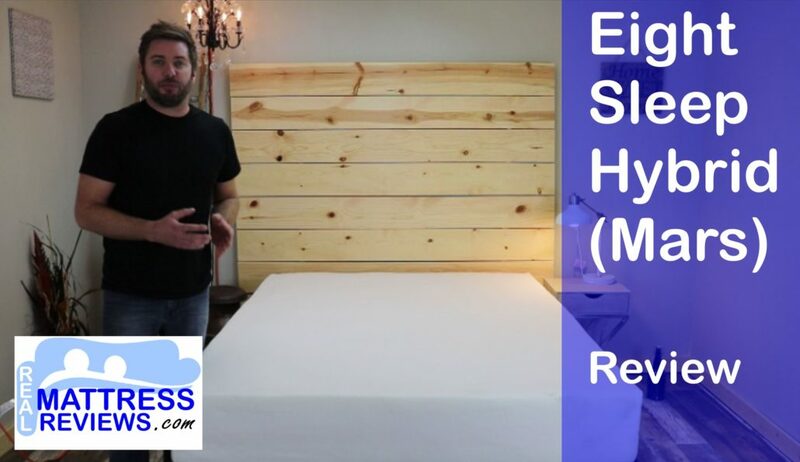 See the full Eight Smart Hybrid Mattress review below. Want a good value – Eight utilizes the direct to consumer model so you can save some money there! 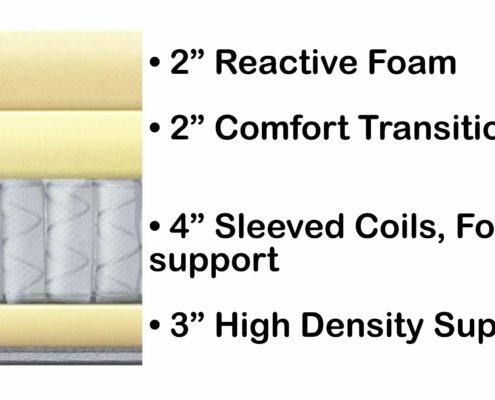 Like to sleep cool – The 2″ Reactive foam has the consistency and makeup close to that of latex foam & did not get excessively hot for us at all. Kayla is typically always cold so heat was not an issue for her either. Are someone who values bounce and body conformance for great pressure relief – Eight has a good amount of bounce on top so you don’t feel stuck and the right amount of body hug to help relief pressure points. In addition to the foam being responsive the coil unit helps in this areas as well. It will provide more bounce than a foam core. Are looking for a mattress to fit all sleeping positions – The Eight Mars is a good medium feel and it performed well for all of our sleeping position tests. Like something more than 10″ – Its only an inch thicker than 10″, but an inch can make a big difference for comfort and there’s more value here than many 10″ mattresses. 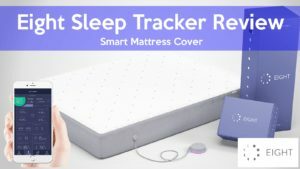 Are considering a sleep tracker – The sleep tracker smart cover is a great add on to turn your mattress into a smart mattress! The heating on each side is a feature we really like. 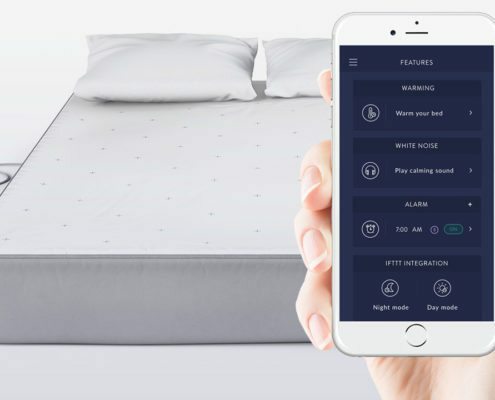 The tracker can be used on other mattresses too! Want a super soft mattress – Eight is a medium feel. If you prefer an extra soft mattress you will want to look elsewhere. Or extra firm. 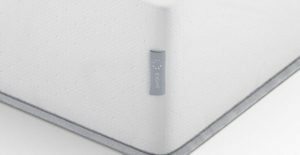 Don’t like hybrid mattresses – If you are a foam mattress lover you may want to consider something with an all foam core. This provides a bit more bounce than an all foam core. Are a heavier sleeper – Although this is an option that will work for most people I would recommend something else for people over 280lbs. Click Mattress Concierge on the right to shoot me an email for suggestions. 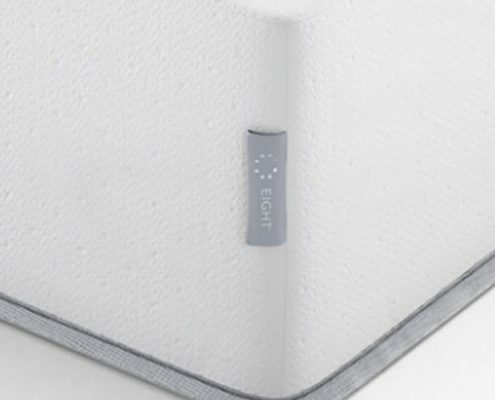 The cover of the Eight Sleep Mattress is fairly simple. It is 100% polyester, this cover breathes well and allows good airflow. 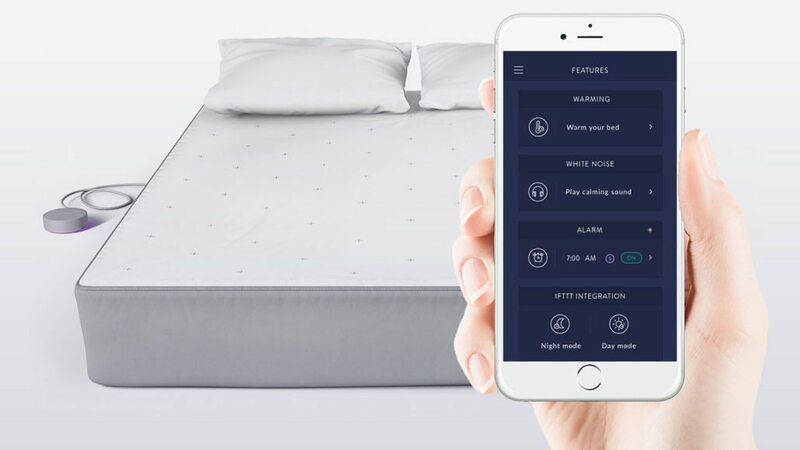 Add the Sleep Tracker to protect the mattress and provide the Smart Features. The Eight Mattresses will work on any solid surface. Whether you throw it on the floor, on a wood foundation/boxspring, a platform with slats or use an adjustable base. Just make sure its sitting on something solid. The Eight Hybrid has a nice feel on top. It provides good pressure relief and provides more of a floating on top of the mattress feel rather than a sinking stuck feeling. The Eight Mattress impressed me for the following reasons. A.) It has good pressure relief without giving you a stuck sinking feeling. B.) The top comfort layer really didn’t get hot and had good bounce. D.) The sleep tracker is great. I can keep the heat down and Kayla can warm up her side of the mattress. Its also been fun to see how well we sleep, when I’m waking up etc. For me the Eight Mattress had a good medium feel. It conformed well even though I am light but still had good support for Ross who is heavier. The overall feel of the Eight was nice, the top layer is easy to push into even being lighter so it conforms well with little weight pushing down than some memory foams we have tested. The smart cover is amazing. Like Ross said I can warm up my side and its toasty and cozy the time I get into bed. Its all set with the app! The smart alarm has been great too, it starts quieter and gradually wakes you up, it seriously makes a difference in how my mood is waking up. We don’t have any other smart home products but we want to get a thermostat to connect to the mattress. The Eight Mattress performed well for temperature regulation. The memory foam in this mattress is buried a layer down and the top layer of foam did not trap heat hardly at all. If you are someone who sleeps extremely warm you should not have a big issue here with temp. 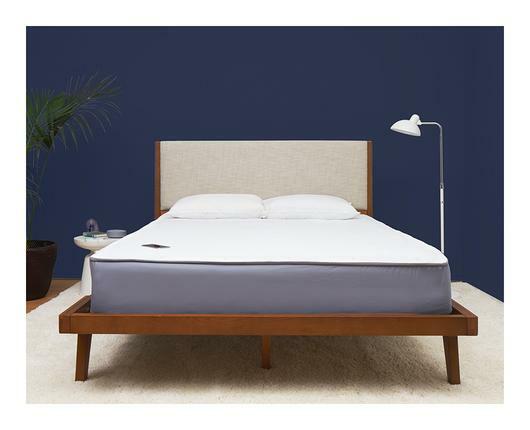 The Eight Mattress will work great on an adjustable base. We reviewed this in king so we didn’t show a video on our base. Being all foam it will work like a charm however. Eight Sleep all started with the sleep tracker which pre-sold thousands and raised millions on a crowd funding site. After they launched that they designed the mattress to go along with it. Eight Mattresses are made in the USA by a manufacturer that makes mattresses I sell in my store, they have always made great products. Eight Hybrid Mattress is a great medium option for those of you who sleep in multiple positions. The mattress slept cool and with the direct to consumer pricing they also are a good value. I like the floating on top feeling this provides vs a sinking/stuck feeling. Its a solid option and the tracker is awesome! Overall we really liked the feel & performance of the mattress. I liked that they made this one thick than the all foam mattress. The sleep tracker we are still using and we love it. From the heating to the smart alarm its great. The sleep tracking has been fun to see as well. Tracking how much I exercise vs. how much better I sleep has been a motivation for me as well. 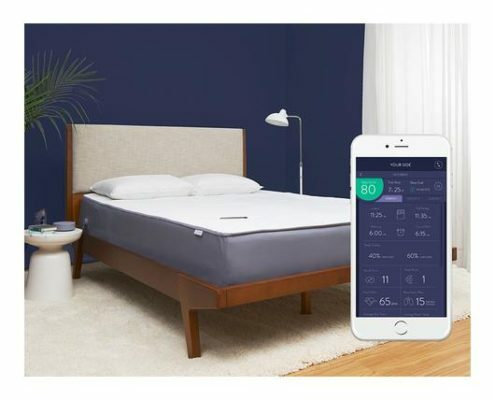 We recommend the Eight to anyone looking for a medium feel foam mattress & the tracker to anyone looking for a sleep tracker, bed warming or to any techie out there!.